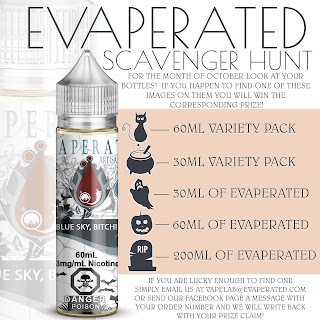 Evaperated.com's blog for updates, stories and SHINNANIGANS. Hey guys! You know we love giving you deals! This one is pretty darn good if I do say so myself! It's spring, FINALLY! And we are here with another month full of awesome deals! The April special is pretty lit! 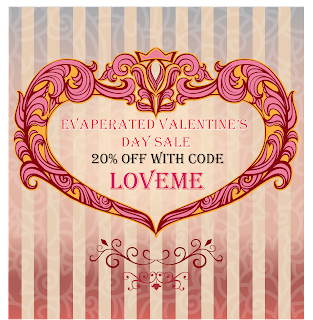 And don't forget to upload a photo to our Facebook, or to your instagram, and tag #EVAPERATEDLOVE for a chance to win $200 to spend in our store! This sale stacks with our current special. 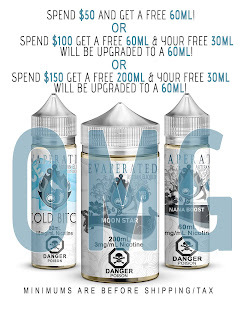 Get a free 60ml for spending $50, OR get a free 120ml for spending $80 OR get TWO free 120mls for spending $140. 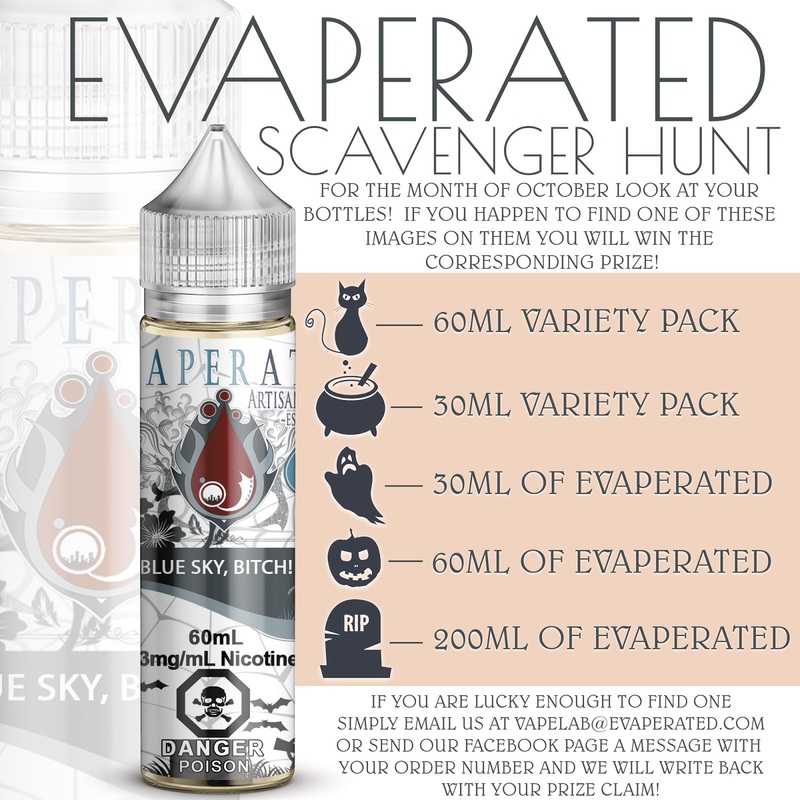 ALL orders get a free 30ml and 15ml as well! All orders over $40 (before shipping/tax) will get their free 30ml upgraded to a 60ml size! 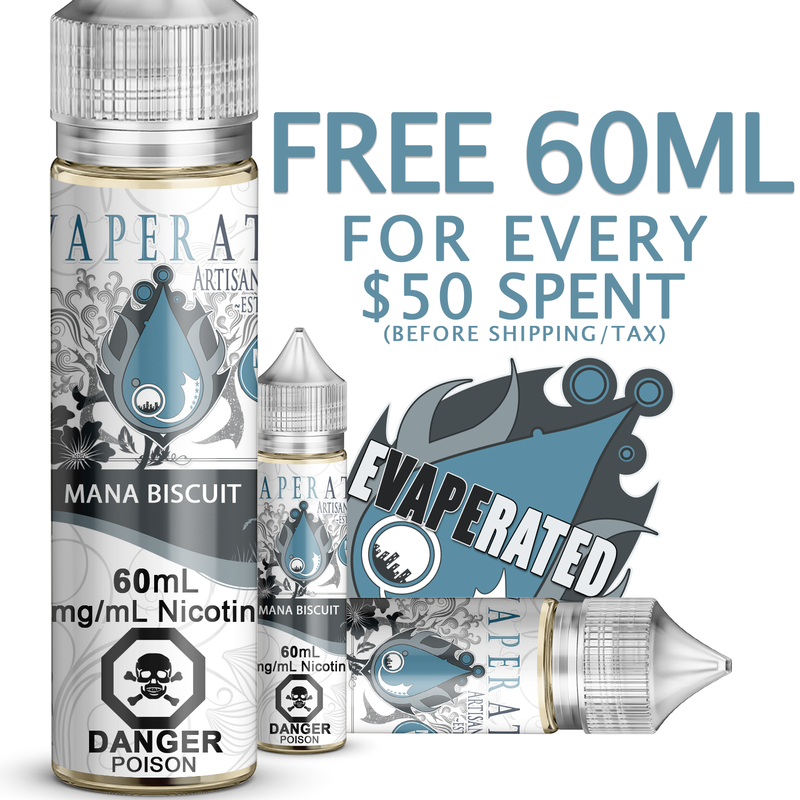 AND, if you order is over $100 (before shipping/tax) you will get an additional free 120ml of your choice! We are still using mostly Purolator for shipping which means you will have your orders super quick once they ship! 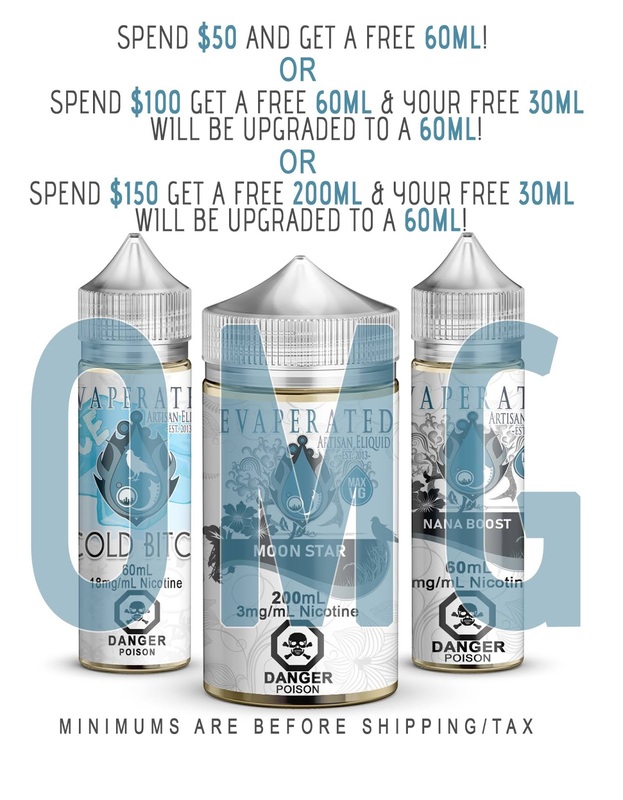 And speaking of 120mls... we now offer 120ml sizes in all single bottles AND we have a new 120ml Variety Pack addition to the store! Hello everyone! We have a few fun things cooking at Evaperated Labs this year! Side Note: We have brought back our 'SPIN TO WIN' wheel to the website. Every spin is a winner, so why not save a bit of money? First up is our new special! And all 60ml and 200ml bottles will come in our new (and we think PRETTY) winter special edition labels! IT'S ALMOST BLACK FRIDAY TIME! 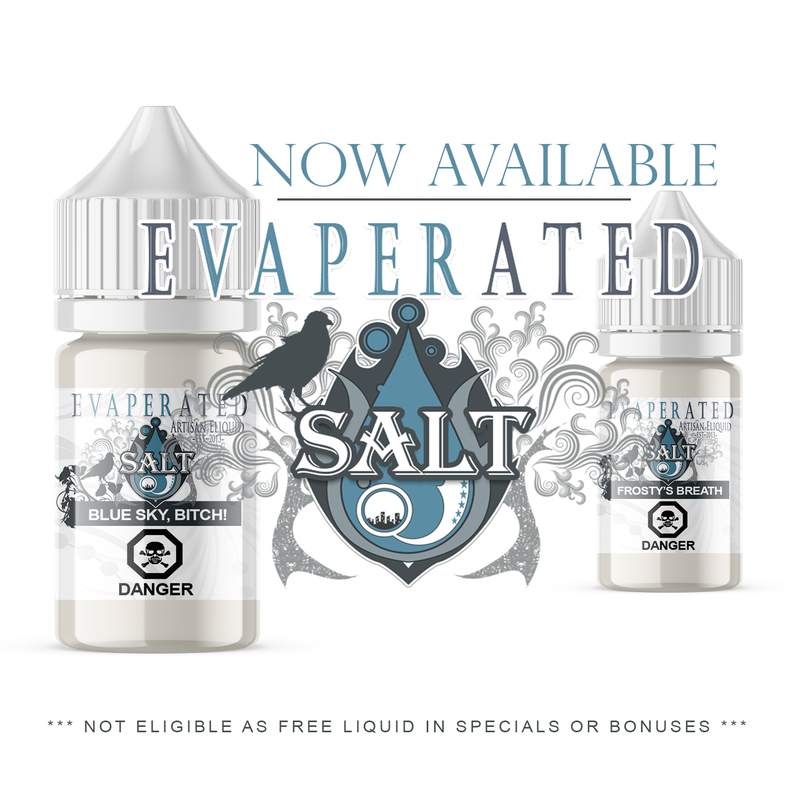 Evaperated.com is having a BIG ol'sale! No codes needed! Also in case you didn't know, we are NOT using Canada Post. We are using mainly Purolator (1-2 business day transit time across Canada on average) and sometimes UPS or Fedex. So! You will get your items quickly once we have processed them! 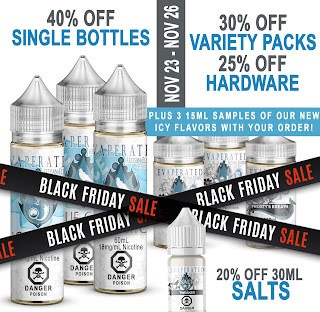 AND we have three new ICY flavors launching in December (descriptions in image below) and every order placed during the sale will get a 15ml sample of each flavor for free! 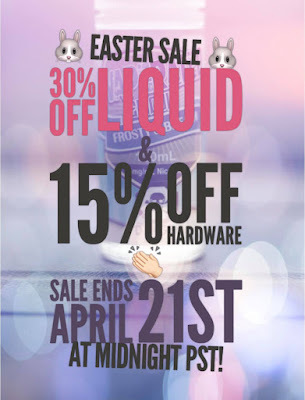 GET AHEAD OF IT AND GET SOME GOOD DEALS! 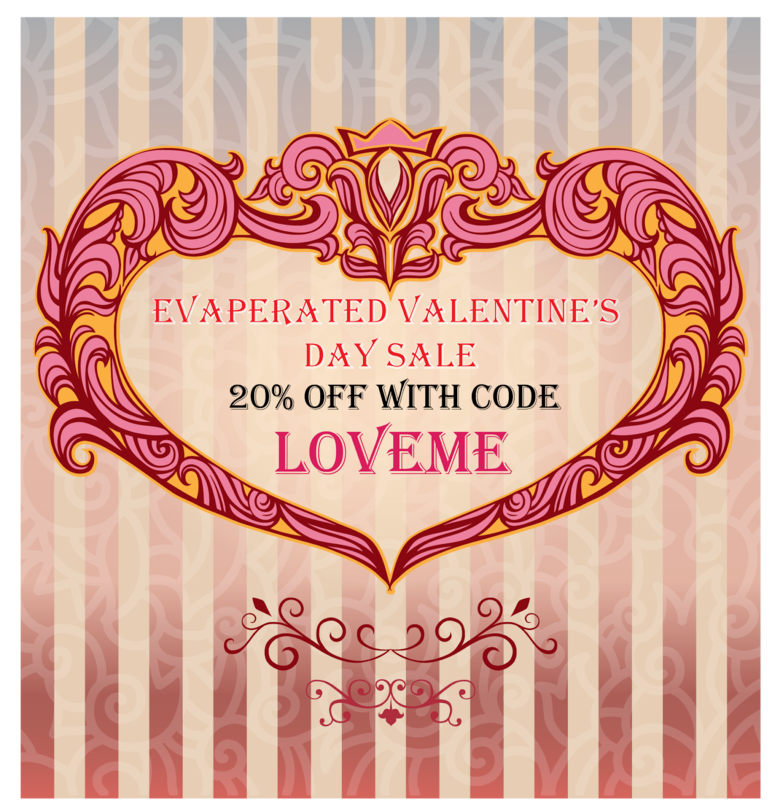 Things have been happening at Evaperated! I am an absolute Halloween (and October, in general) lover, so this is my favorite month to get festive and have some fun! BUT BEFORE ALL OF THE HALLOWEEN GOODNESS! Now on to the Halloween fun! CANDY FOR ALL! Your orders will all come with some edible body parts, zombies, bats... you name it. Who doesn't love eating eyeballs and toes at this time of year?! We ALSO have limited edition labels for this month! 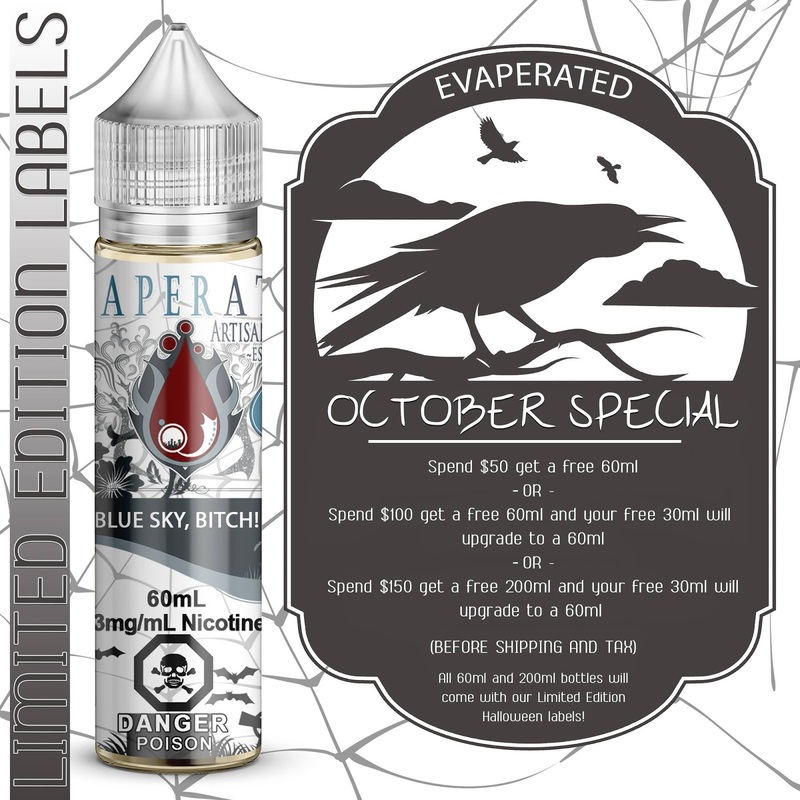 All 60mls and 200mls will come with our spooktacular labels! And on top of that, we are having a scavenger hunt! Some of you may find a bottle in your order that has a little extra image! If you are lucky to get one, refer to the legend below to see what you've won, and how to claim your treasure! AND we are running a special for all of October! ALSO (hence the title of OOF!) we are launching a new flavor very soon, and yes, it's festive as well! We hope you enjoy these fun little things! We have a nice little special running right now! Get a free 60ml for EVERY $50 you spend at www.evaperated.com! This wont last too long, so grab it while it's active! We have TWO Fall flavors coming out in October... stay tuned for that launch! Hope you are all staying Rad! The super popular special is back for a limited time! Grab an extra bottle PER VARIETY PACK. No limits! 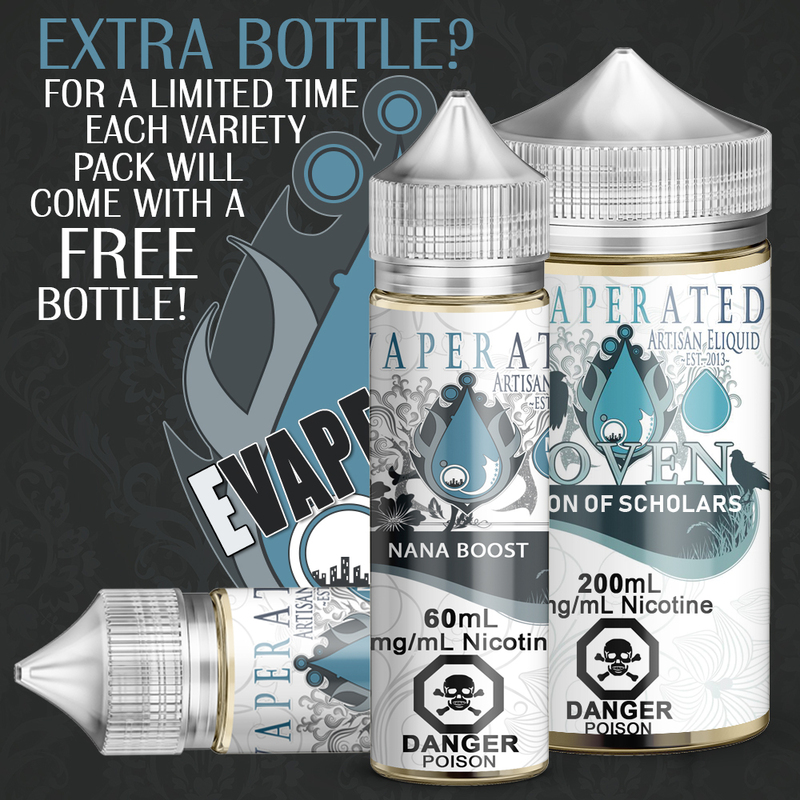 If you order two variety packs, each will come with an extra bottle. 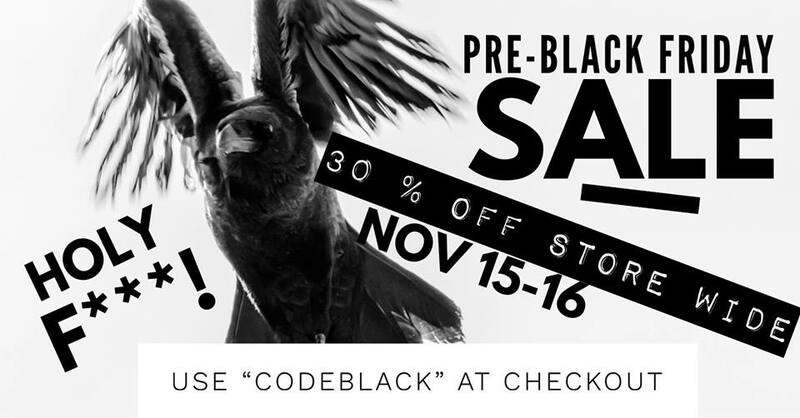 We are also giving 15% discounts for photo reviews (up from 5%) for a limited time! I did some customer outreach last week asking if people found my old site easy to navigate. The feedback was pretty split, and enough people had a hard enough time that I decided to fix it for my customers so that being on our website was no longer painful. • Hover descriptions on each section's products so you can see a brief description without having to actually click and enter the product's page. 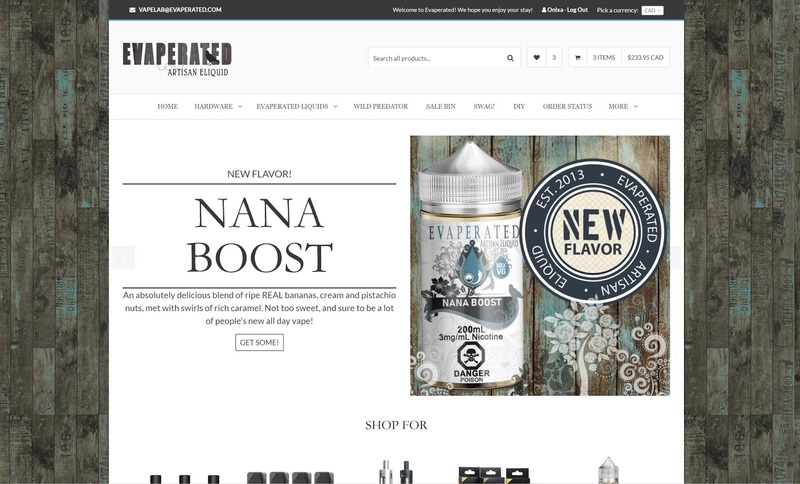 • Quick View - You can now open a quick view from the product catalog pages and order your items without having to go in to their full pages, thus allowing you to quickly close the quick view once you have added it to your cart and you will still be in the catalog with all the products. • Easier categorization - Thanks to your feedback we realized our menu system was a bit hectic. We have streamlined it down to one menu for our Liquids, divided by easier subcategories. • Variety Packs and Mystery Packages are now in their own category and will no longer be cluttering up every single other category on the website. • Shiny new product images depicting a mockup of what your actual bottles will look like. 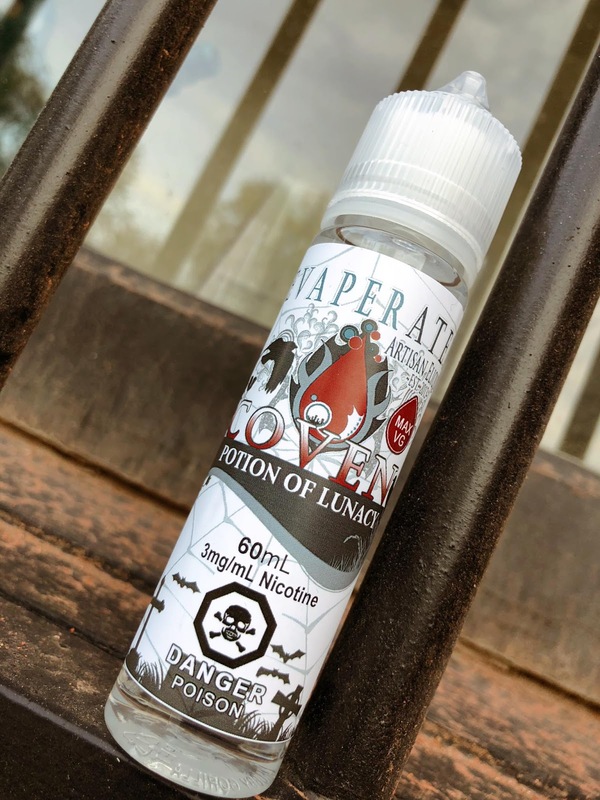 60ml and 200ml bottles are visible on every liquid product, and soon we will have 30mls on them as well. • Many other minor tweaks, fixes, adjustments and overall improvements! I hope you guys like this, and find it easier to navigate and spend time on! As always, suggestions are always welcome, feedback is love, and if you find a bug feel free to show it to me so I can SQUISH IT! Want updates? Sign up for updates via email or a feed reader. 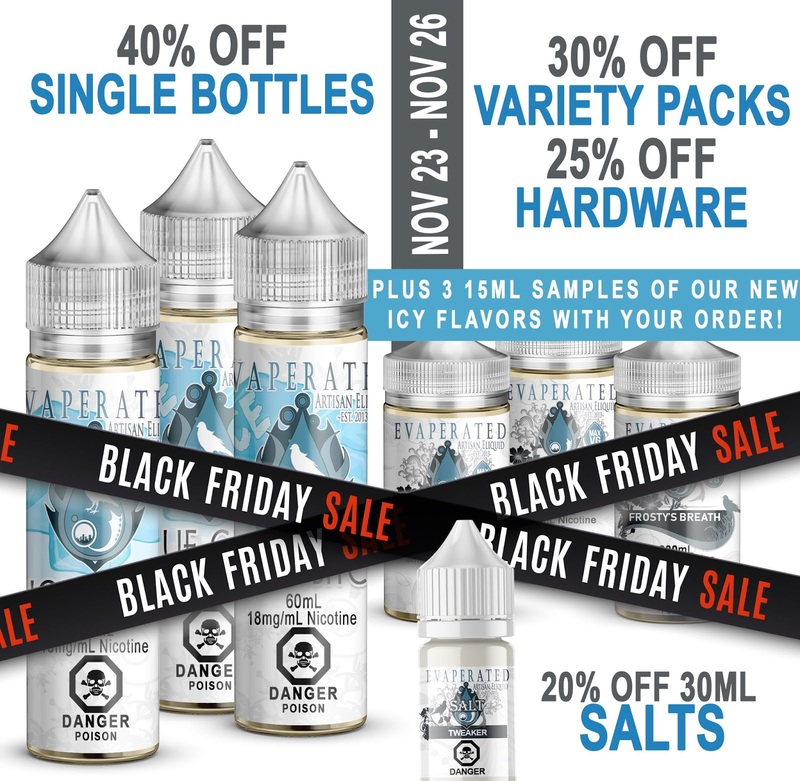 Specials and Sales and Deals OH MY!